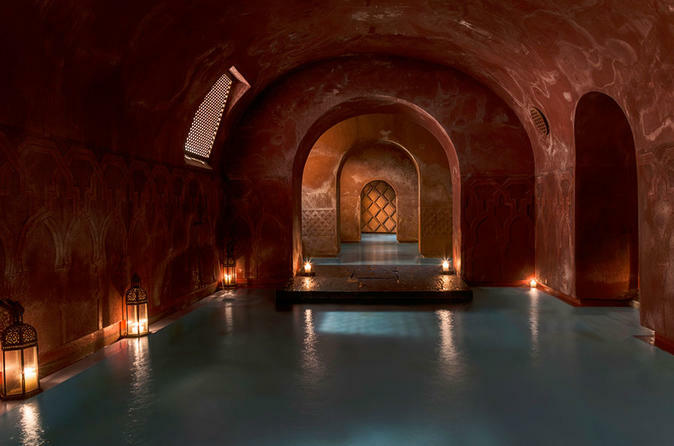 Seek serenity at Madrid’s Arabian baths, Hamman Al Ándalus, and spend your time relaxing body, soul and mind! The zen-like oasis with candle-lit walkways boasts three thermal plunge pools and a steam room – all decorated in resplendent Arabian décor. Spend time in the baths, relaxing and sipping on mint tea, and then head to the Aroma Corner for a 15-minute massage by your expert masseuse. Choose from oils scented with rose, lavender, violet or red amber, and then submit to total relaxation as your masseuse applies gentle pressure during your 15-minute massage. If you want to enjoy a longer massage with an exfoliating body scrub to remove dead skin cells and stimulate blood circulation you can upgrade to Midra30 or Midra45 service.